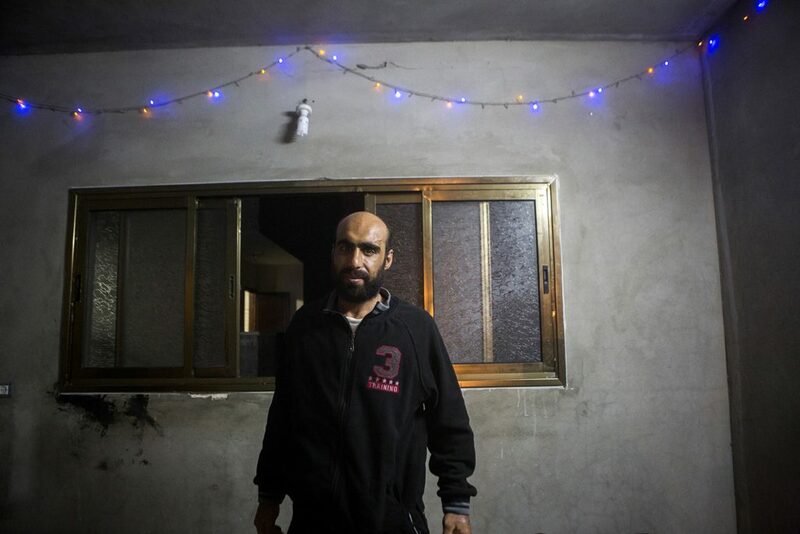 Osama al-Batsh in his flat. Osama survived the attack on his uncle’s home which left 19 members of his family dead. He was badly injured and had one leg amputated. The attack allegedly targeted Major General Taysir al-Batsh, head of Gaza’s police, who was visiting his cousin Majid. “Doctors could not believe I was still alive. It’s a miracle,” says Osama. The damages caused by the airstrike were so extensive, that other than Majid’s house, two adjacent buildings were destroyed. 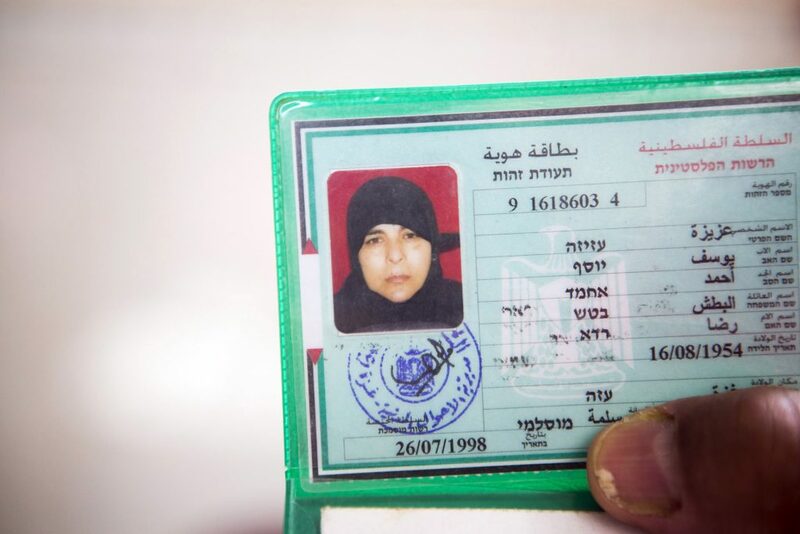 On the photo: ID of Aziza Yousef al-Batsh (59) who was killed in the neighbouring house.